Democratic presidential candidate Bernie Sanders is recalling his start in the civil rights movement at the University of Chicago in the early 1960s, but says there’s still more work to do. 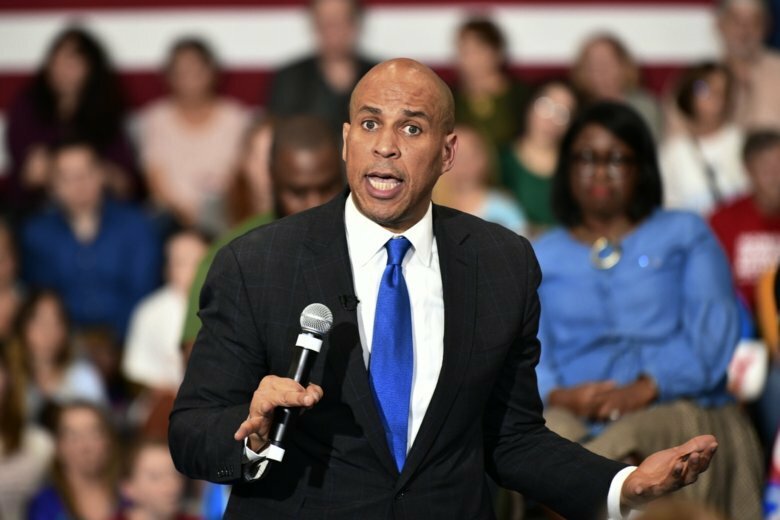 Booker told the crowd at Brown Chapel AME Church that the anniversary was a time to recommit to the fight for justice in America. Booker delivered keynote remarks at the church, the starting point of the 1965 march. Democrats Sen. Sherrod Brown of Ohio, who is also considering a 2020 run, and 2016 presidential nominee Hillary Clinton also attended the service. Hillary Clinton has told a crowd a historic black church in Selma, Alabama, that the absence of crucial parts in the Voting Rights Act contributed to her 2016 defeat to Donald Trump. The Supreme Court in 2013 struck down a part of the law that required the Justice Department to scrutinize states with a history of racial discrimination in voting. Congress has yet to address the issue. Clinton warned the audience at Brown Chapel of the need for continued vigilance about voter suppression heading into the 2020 election. Clinton is in Selma to mark the 54th anniversary of “Bloody Sunday,” the civil rights march that galvanized support for passage of the Voting Rights Act. Civil rights activist Jesse Jackson says that what he calls “schemes to suppress” voting rights “are very real, very alive” today. Jackson and several White House hopefuls are among the many people gathered in Selma, Alabama, to commemorate the 54th anniversary of “Bloody Sunday.” That’s the civil rights march that turned so violent, it galvanized support for the passage of the Voting Rights Act of 1965. Ohio Sen. Sherrod Brown, who’s considering a run for president, says purging voter rolls, redistricting “and just changing the rules subtly” are among the ways the right to vote is stripped away. Sherrod Brown says the Democratic presidential hopefuls “respect” each other — and he’s contrasting that with the bickering among the Republicans who ran in 2016. The Ohio senator was on a plane ride to Alabama was two senators already in the 2020 race, Corey Booker of New Jersey and Bernie Sanders of Vermont. They’re marking the 54th anniversary of the “Bloody Sunday” civil rights march. Brown says he’ll decide by month’s end whether he’s going to join the crop of Democrats running for president. Several Democratic White House hopefuls are visiting one of America’s seminal civil rights sites to pay homage to that legacy and highlight their own connections to the movement. Sens. Cory Booker of New Jersey and Bernie Sanders of Vermont, who already are in the 2020 race, and Sen. Sherrod Brown of Ohio, who could soon join them, plan to participate in ceremonies marking the anniversary of “Bloody Sunday” in Selma, Alabama. On March 7, 1965, peaceful demonstrators were beaten back by Alabama troopers as they tried to cross the Edmund Pettus Bridge. It was a moment that galvanized support for the passage of the Voting Rights Act later that year. This year’s commemoration comes in the early days of a Democratic primary that’s focused heavily on issues of race.